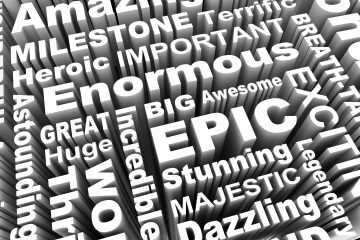 Photos can capture a moment forever but a video message can gush with emotion, personal messages and heartfelt advice for guests. Taking the place of a traditional guestbook, couples or hosts can ask every guest to record a video message during the event, perhaps with advice for the bride and groom, reliving a memory for a special birthday party or anniversary or wishing a loved one a message from afar. Video messages can be edited together to create a keepsake that will last years and years to come. Why not stage your backdrop with an open-booth with a difference – capture guests sitting back, relaxing, putting their feet up in their party frocks – a great atmospheric style photo that will last a lifetime. 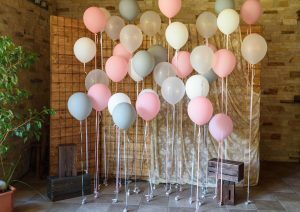 Giant confetti balloons are guaranteed to bring some extra sparkle to an event, blow them all up to create a beautiful and elegant backdrop for your photos. Great for Magic Mirrors! 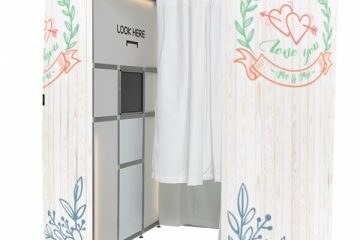 Not all guests want the the whole room to see them posing and during social get togethers, secrecy booths (booths that have full privacy screens) provide the perfect place to capture a romantic moment between bride and groom and guests alike. Great for festivals and Summer events, the Camperbooth or BoothBus provides a quirky alternative to the traditional photo booth that can simply be parked, props prepared and it’s ready! What’s more, you don’t have to pack everything down and transport your booth back to the car at the end of the night! 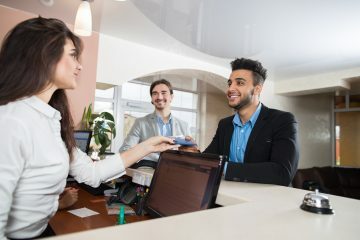 What other quirky ideas have you seen that can help to boost other booth businesses?